Successfully Added GSM Remote Surveillance Camera - Quad-band, Nightvision, Motion Detection, Wireless Alarm Sync to your Shopping Cart. 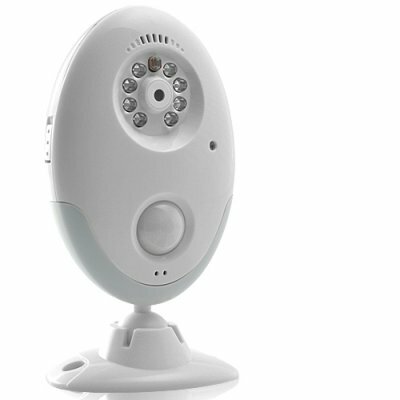 GSM Remote Surveillance Camera (Quad-band, Nightvision, Motion Detection, Wireless Alarm Sync): Keep a close eye on your home to see who is invading your private study or lurking around in your office at any time. Insert any SIM card into this Quad-band GSM Remote Security Camera to be able to then call the inserted SIM number from anywhere in the world and secretly listen to conversations. If you hear anything while calling, another great feature is that the on board MIC and speaker allow you to speak and warn intruders that they have been caught, scaring them enough to leave your home right away and without plunder! With its practical functions, fashionable appearance and a bright design, this is the perfect security option for your security needs. Order right now and we'll ship you a sample to see how amazing this intelligent GSM Remote Surveillance Camera really is. It is brought to you by the number one wholesalers in consumer electronics, Chinavasion.